It has been several weeks since I wrote an article for my blog and that is because, as you may know, I was in Honduras. I was there for a week in late January/early February. 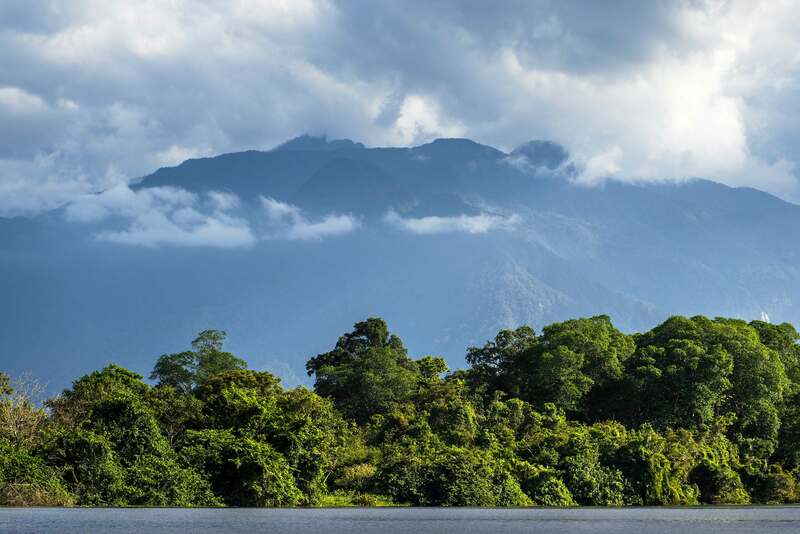 I traveled there as part of a small group of wonderful people on a trip planned, organized and led by Expedition Travel, an ecotourism firm based in Gainesville, Florida. I traveled to the Galapagos Islands with them a couple of years ago, and both expeditions were led by highly experienced and knowledgeable experts, conducted flawlessly in every aspect. If you have ever considered traveling to unique worldwide locations to experience wildlife and local cultures, I highly recommend Expedition Travel. 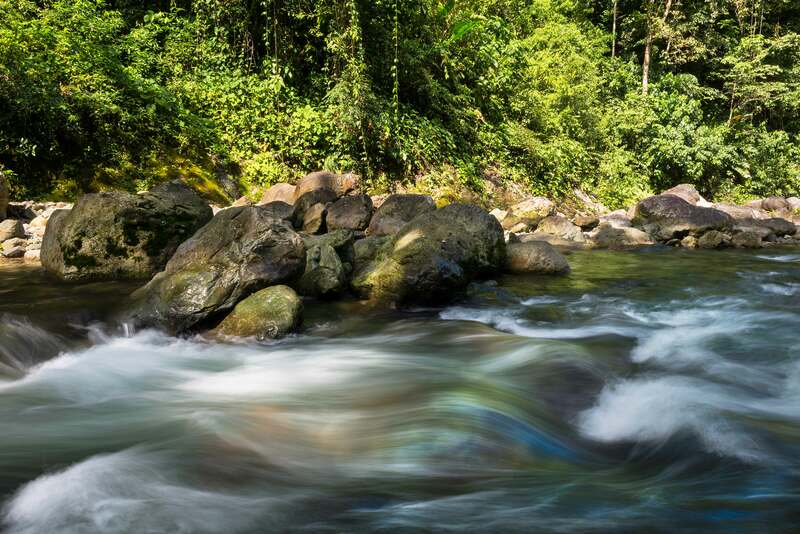 We stayed at the Lodge at Pico Bonito in Honduras, which is located at the foot of Pico Bonito National Park. The lodge provides luxury accommodations with a restaurant that serves outstanding food and is maintained and operated by a warm, friendly staff. Highly experienced local guides are provided by the lodge when hiking on the lodge’s property or within the park. I owe much of my success in seeing and photographing Honduras’ tropical rainforest wildlife to two outstanding guides: Elmer Escoto and German Martinez. I would not have seen one-tenth of what I saw and photographed without their help. I have been struggling with how to write this blog article and subsequent articles to describe what I saw and photographed in Honduras, and decided to organize the articles based on types or groups of birds and other wildlife, with the exception of this article, which has a variety to provide examples of what I photographed. 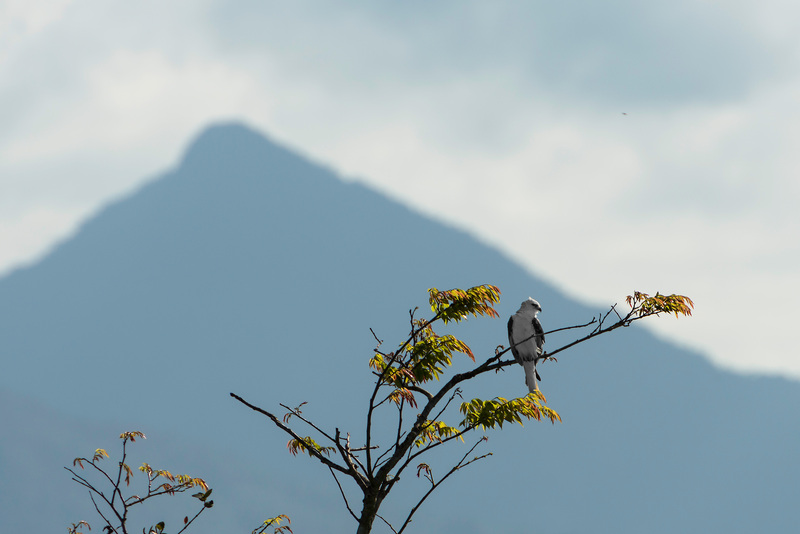 As you can see from the images in this article, Honduras is a nature photographer’s paradise teaming with a tremendous variety of birds and wildlife. 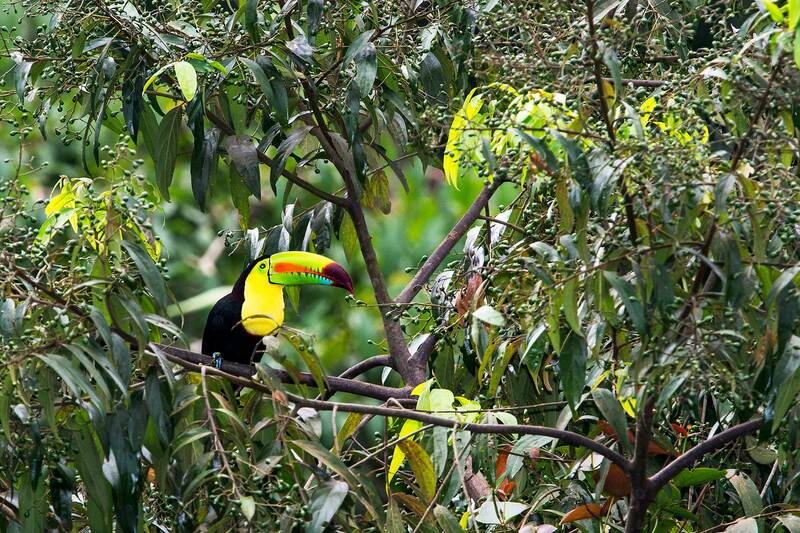 Above is an Aracari, which is related to the Keel-billed Toucan, and below is a male Lovely Cotinga. 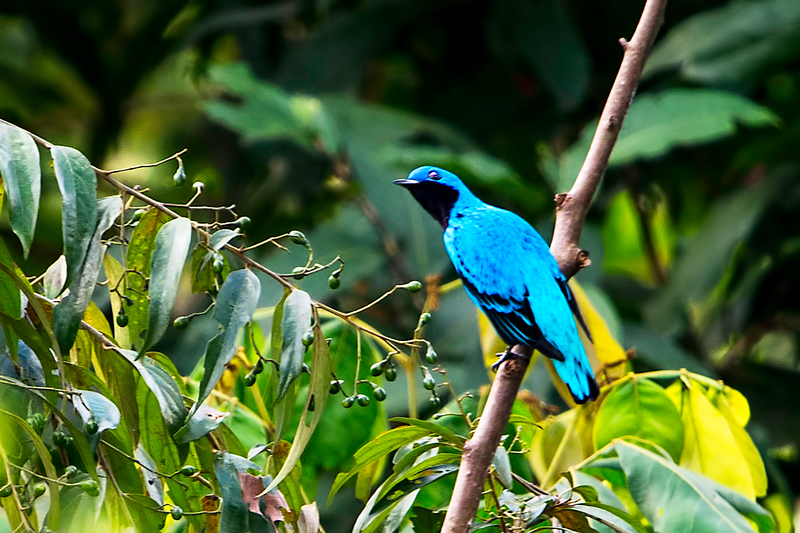 As you can easily tell, the birds were incredibly colored and beautiful. 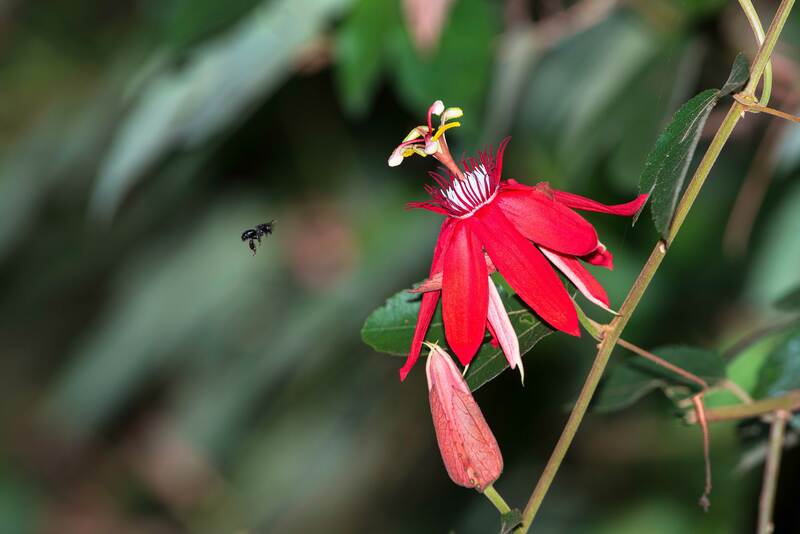 Above a bee can be seen approaching a Passion flower, which was growing wild not far from the lodge. 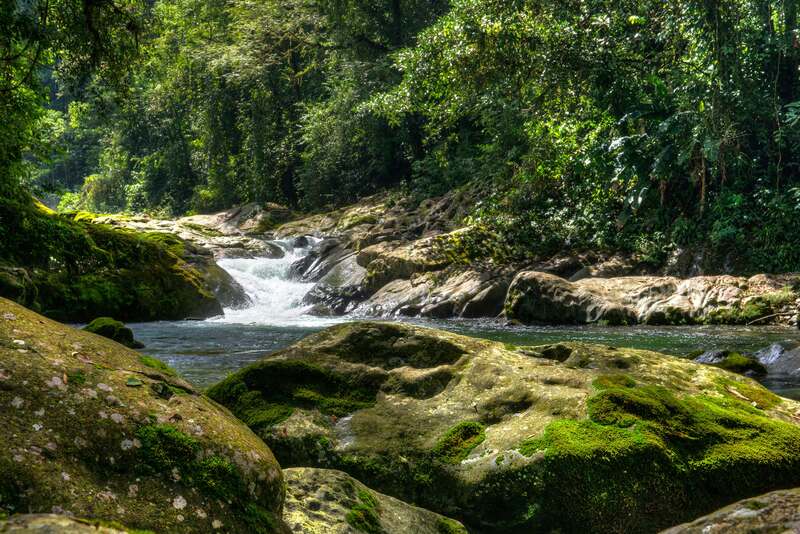 As you can see from the example images in this article, I was able to capture (digitally) some of Pico Bonito’s incredible beauty. I am concluding this article with an image of a Rufus-tailed Hummingbird. I was able to photograph six different species of hummingbirds. I also want to mention that I reached a blog milestone with over 50,000 views as of today. Thank you for taking the time to follow and read my blog. 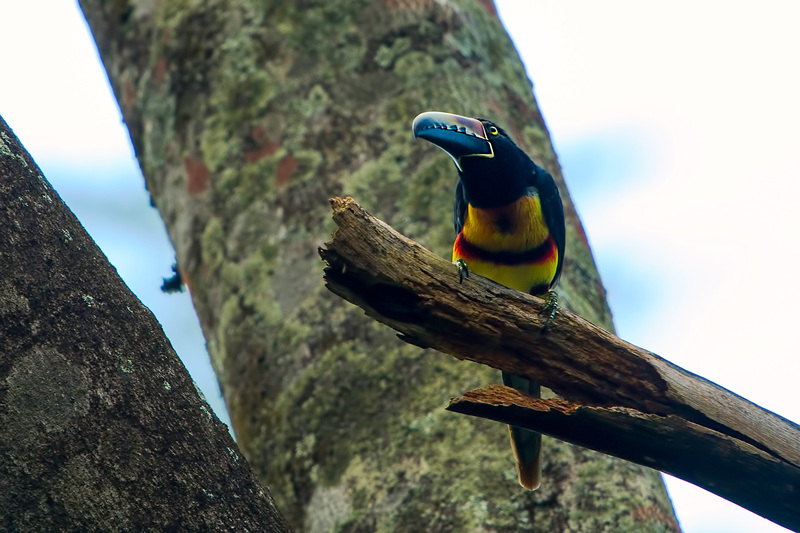 This entry was posted in Bird Photographs, Nature, Wildlife and tagged Aracari, Honduras, lodge at pico bonito, Pico Bonito, pristine rainforests, Toucan. Bookmark the permalink. Exquisite photography, extraordinary photographer. Pricelss photographs. Congratulations on going over 50,000 viewers! Your blog is worth taking the time to read because in addition to the beautiful photographs, it is very informative! Honduras Travel Department should be giving you money for the beautiful photos and descriptions of its country and wildlife! Can’t wait to read more about your trip. Read your very well written blog. One word escapes me “tepzuintles”. I know its not Italian. Welcome back to civilization. A tepezcuintle is a large nocturnal burrowing rodent of the genus Cuniculus, found in South and Central America and similar to the agouti (image on my website under Pico Bonito), that lives on plants and fruit and is hunted for its edible flesh. six different hummingbirds–wow! great pics. Loved the toucans! Great to hear from you Donnie. 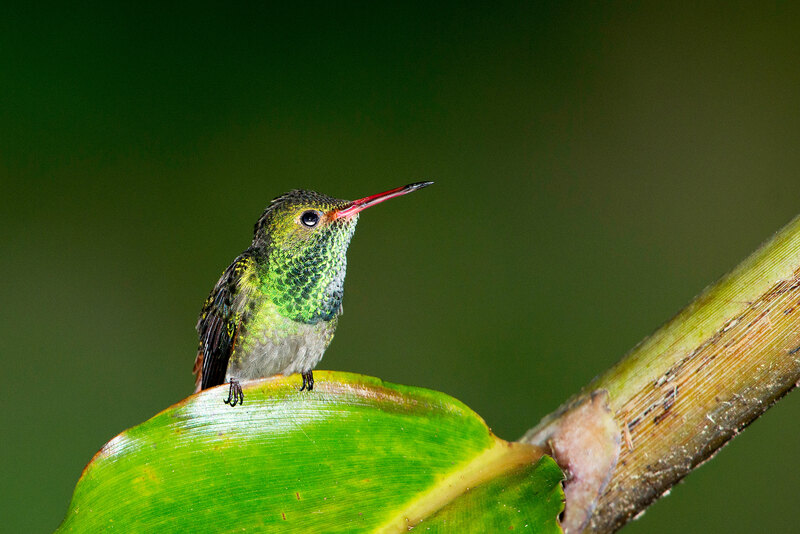 Apparently, you found the hummingbird images on my website, but if not, they are in the Honduras gallery under the Recent Images menu item. Hope all is well up there in Vermont. Wow, just like being there! Only better. Thanks for sharing! Amazing photos, Steve. It’s almost like being there, seeing these sights through your eyes and lens. I’m looking forward to more (and more)! And congratulations on so many visitors to your blog — a testament of appreciation from all of us who view your work. Thank you for following my blog and very positive feedback. Such comments are inspirational. Great to hear from you, Mario! I miss the staff, the Lodge and Pico Bonito. I loved my short stay at the Lodge. Everything was perfect. I have MANY great memories. I do hope to return this time next year. I want to see and photograph more. I now know what to expect and how to prepare. I will have very specific goals. Please say hello to Danilo, Orlando, Hadwar, Carlos, and Jorel, as well as German and Elmer.